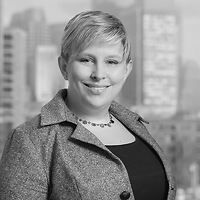 Elizabeth M. Norman, a partner in Nutter’s Tax Department, authored an article on tax reform proposals for ULI Boston/New England’s newsletter, Sitelines. In the article, “New Year, New Tax Laws? Tax Reform Proposals Under Trump and the House ‘Blueprint,’” Elizabeth outlines President Trump’s key tax proposals and where they converge with the House’s “Tax Blueprint,” as tax reform on these items may be the most likely in 2017. According to Elizabeth, given the strong support for tax reform among congressional Republicans, she expects the year to bring continued calls for significant changes to the tax code. She points out that specific legislative language has not yet been proposed and, while there are some policy differences between the House’s Tax Blueprint and President Trump’s plan, it is clear that tax reform will be both a congressional and a presidential priority.